I live in NE Washington State with my husband and 2 dogs. We live out in the country on acreage in an old homestead log cabin. Wellness is a passion of mine, considering we both suffer from chronic medical conditions. 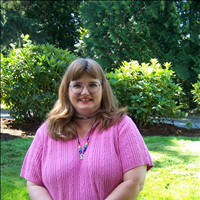 Interests: Country Living, Antiques, Travel, Beading, Metaphysics, Anthropology, Parapsychology, Traditional Medicine. LizHazelmyer hasn't written any posts.